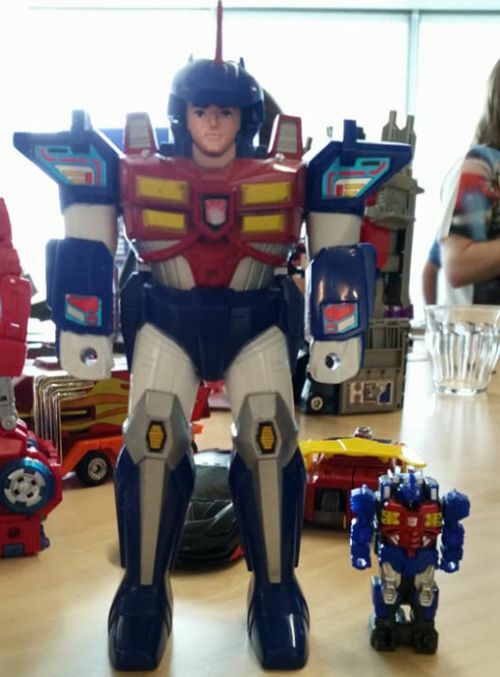 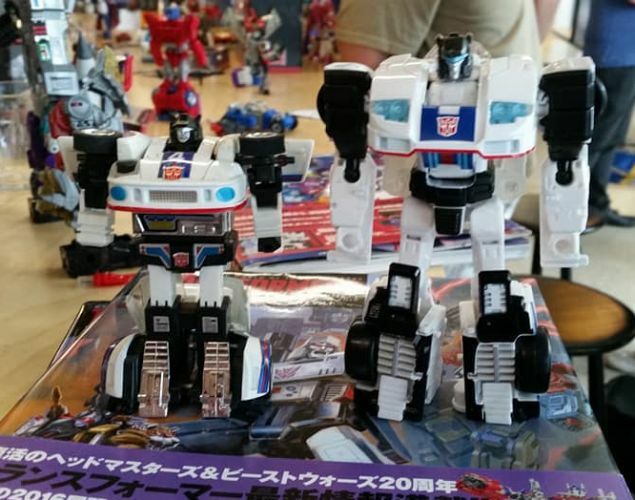 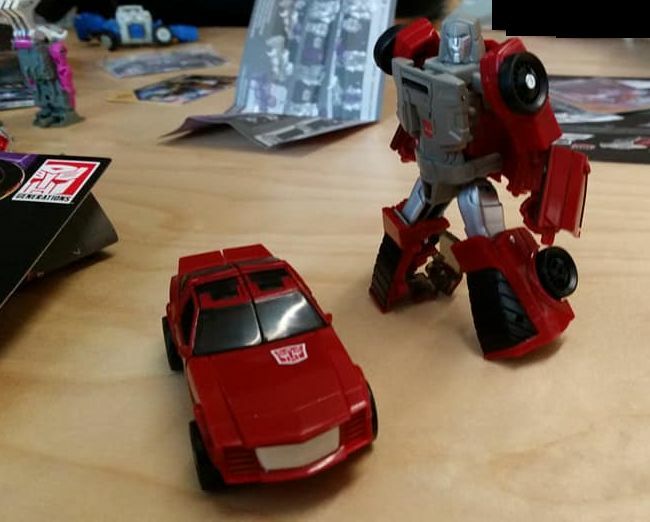 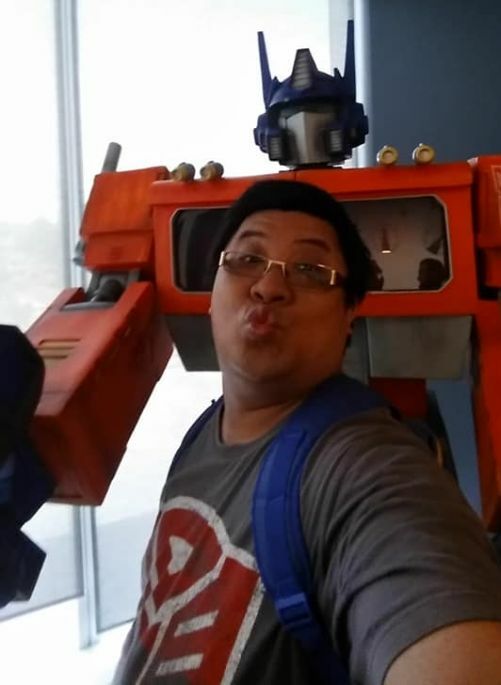 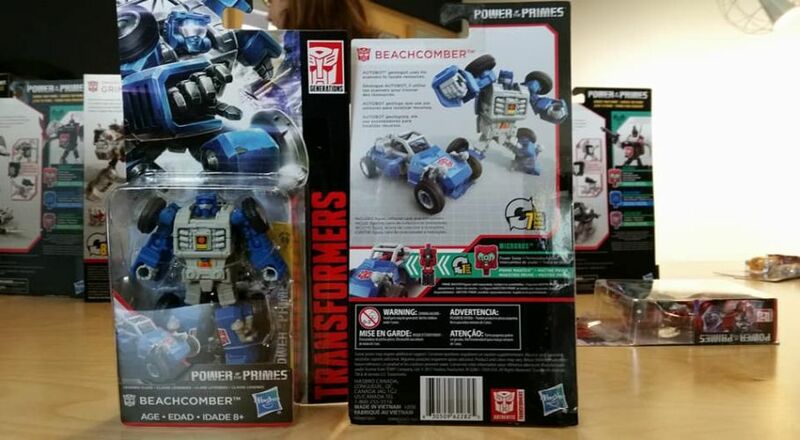 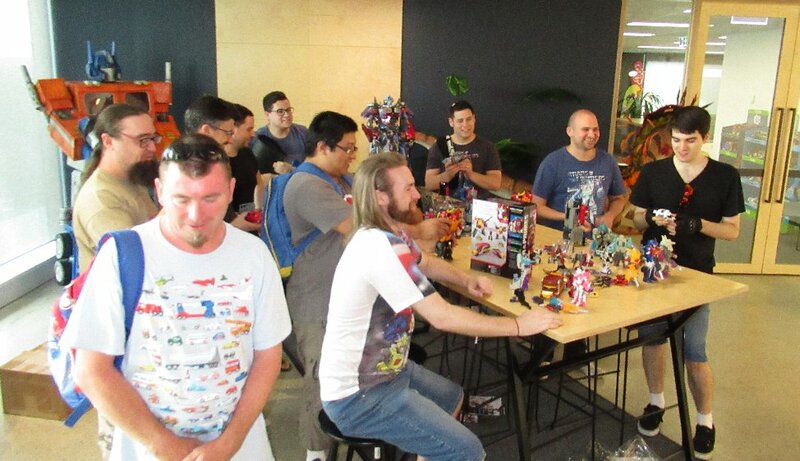 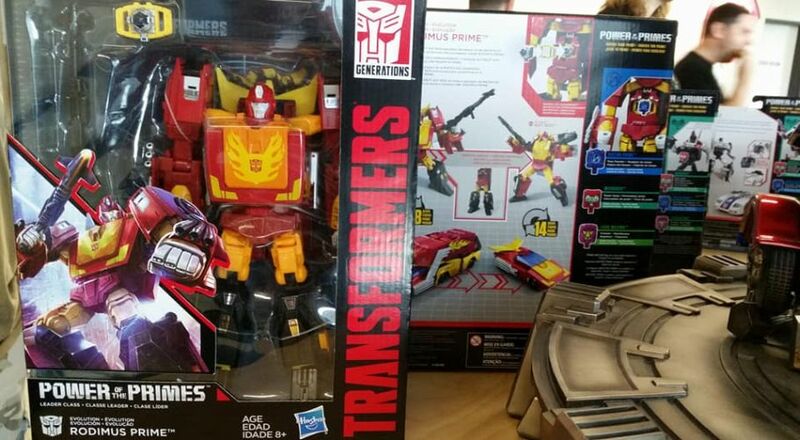 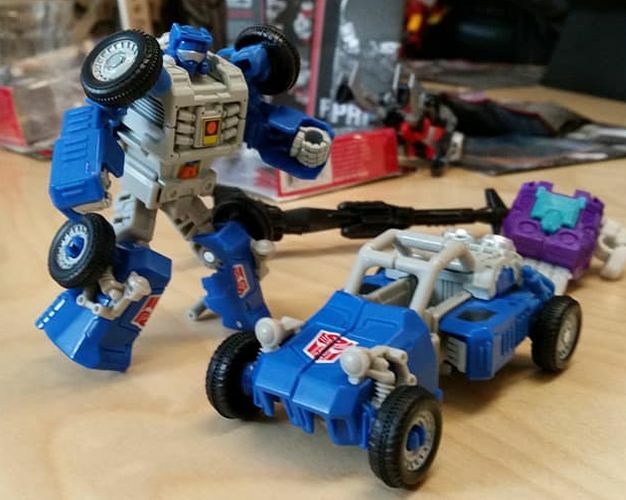 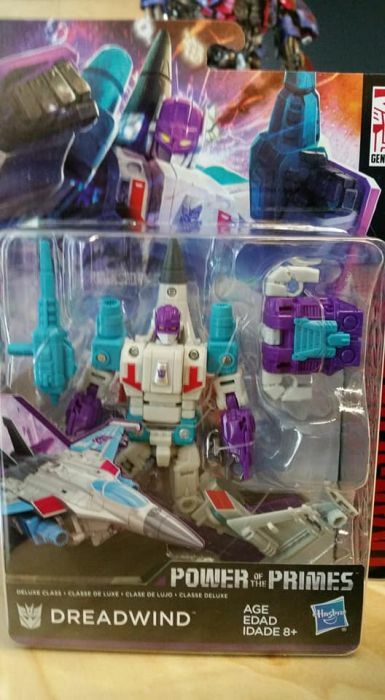 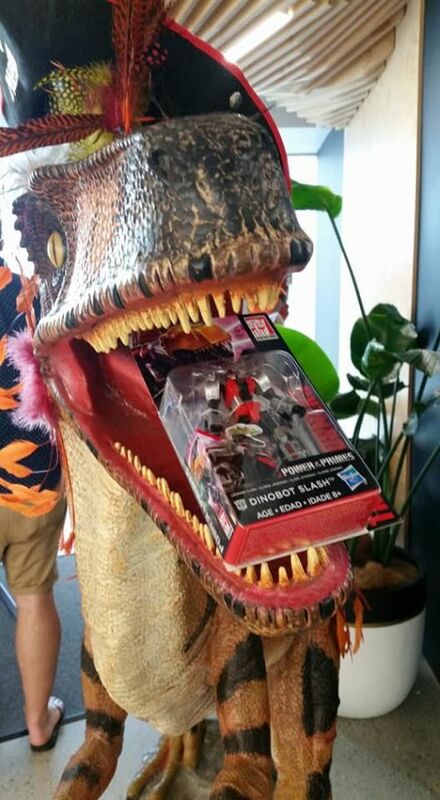 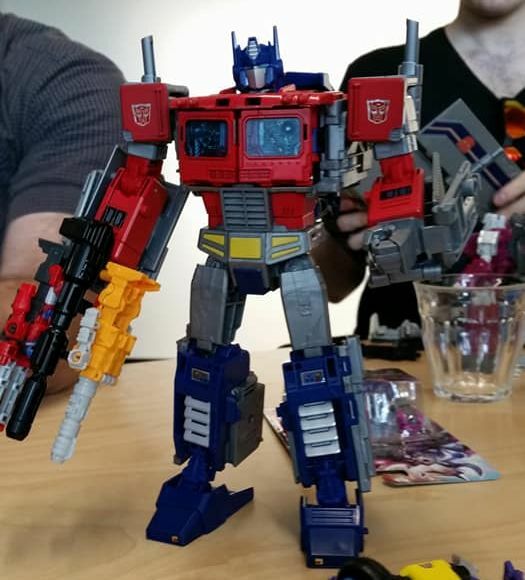 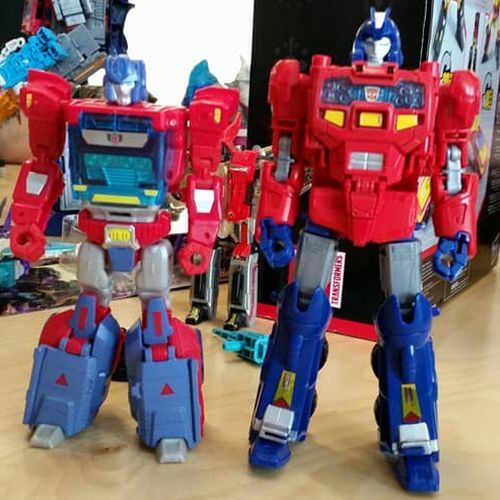 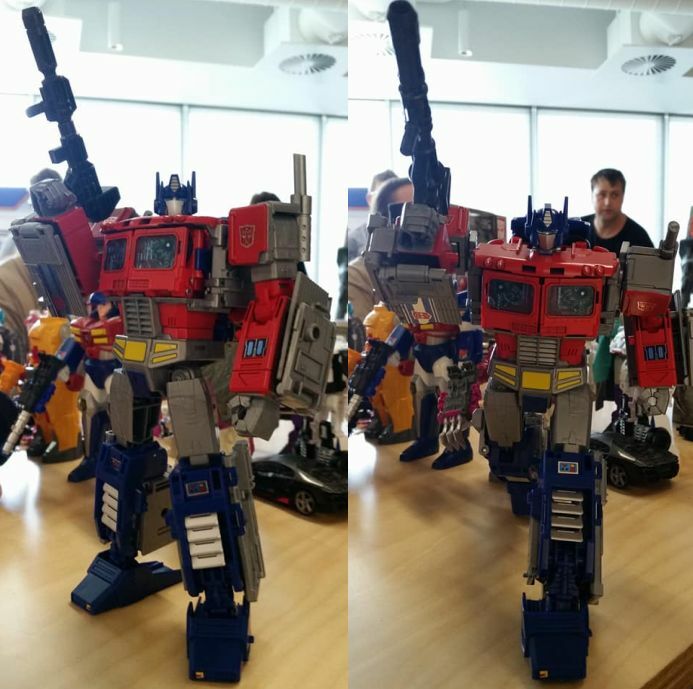 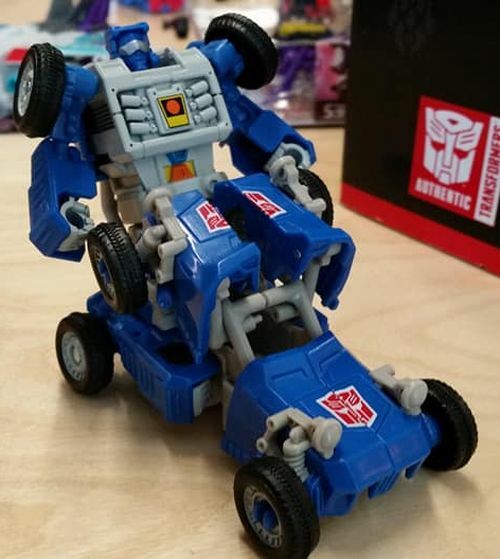 Today Hasbro Australia hosted a product reveal for Power of the Primes (due in stores here mid January), at their offices in Sydney, for 15 fans to test drive, review and give their feedback (in person and on social media). 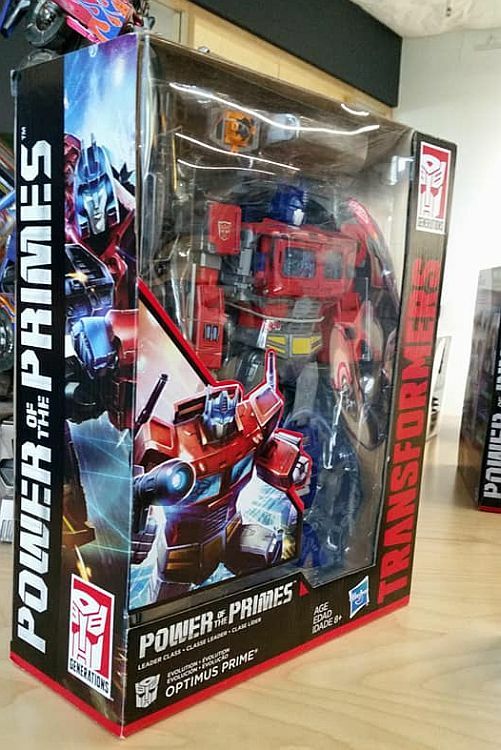 This has spawned from two years of a similar product reveal to fans during the Australian Toy & Hobby Fair in Melbourne, so this was the next step, so that we could hopefully have two each year on the Global reveals calendar for Hasbro - early year in Melbourne, late year in Sydney. 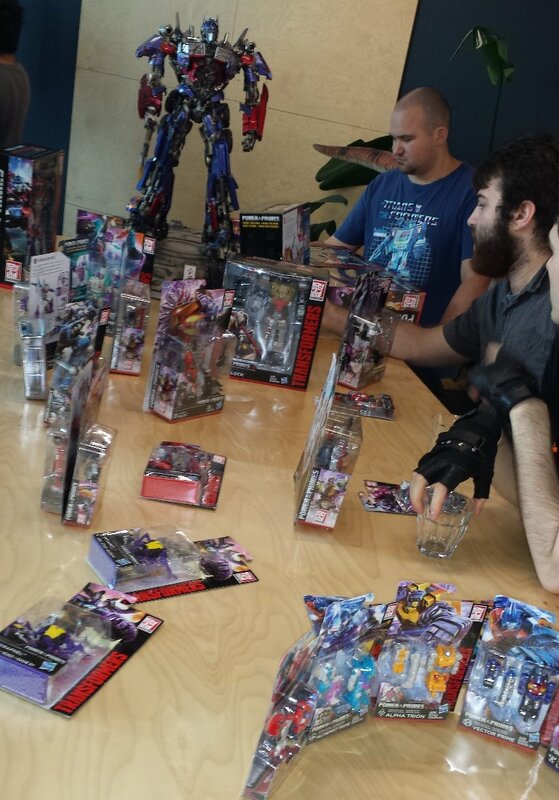 Unfortunately, this first Sydney event didn't end up allowing us to give a world first reveal of wave 2 Legends, as Hasbro in America have other plans for their official reveal... but as a consolation, it was still a lot of fun for a handful of Australian fans to be some of the first in this country to have seen in person, and held/played with some Power of the Primes toys (well... those, who hadn't already imported them from Asia or America). 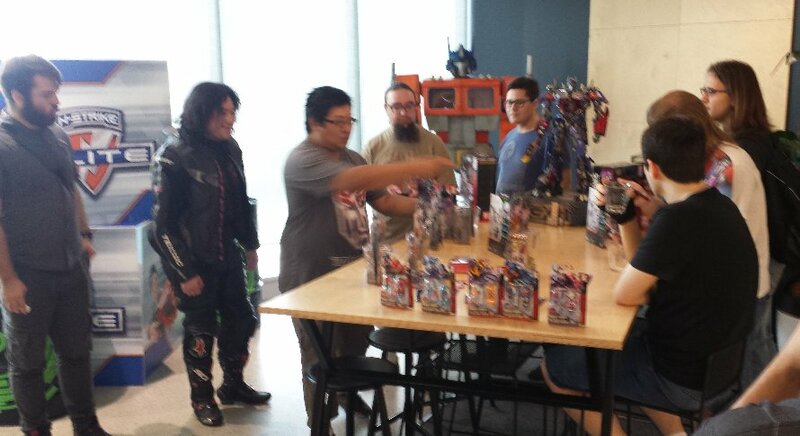 The event was scheduled for 90 minutes from 11am, but since it started a little late, it ended up going for about 2 hours. 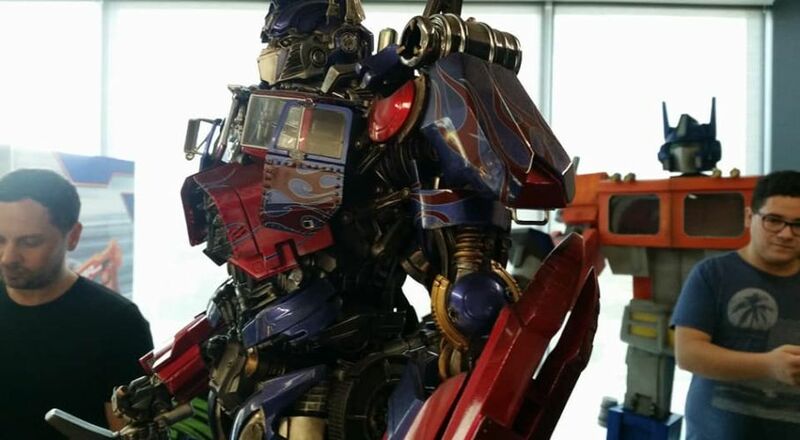 You know you've found Hasbro offices when you see big Nerf and Playdoh displays in the windows on one of the top floors. 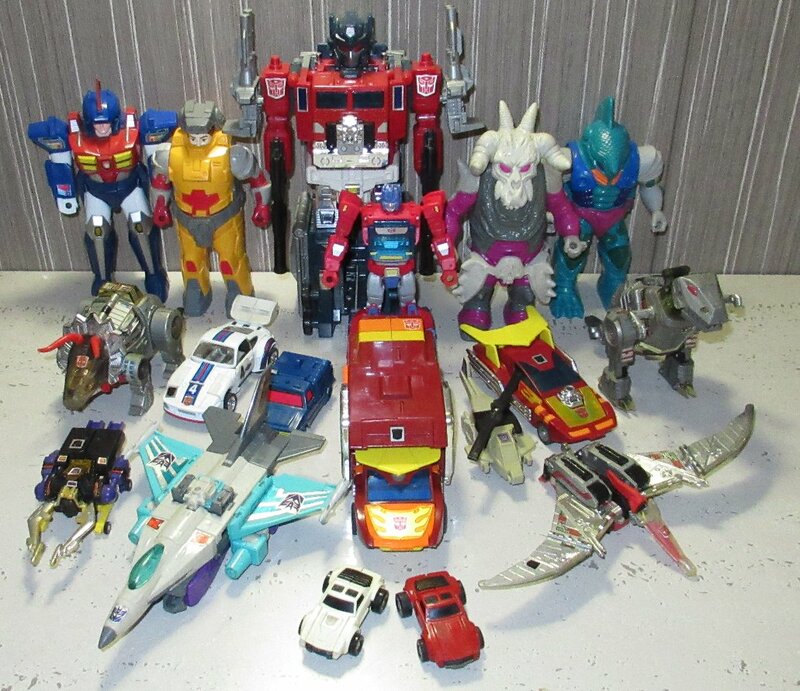 The toys for us to play with. 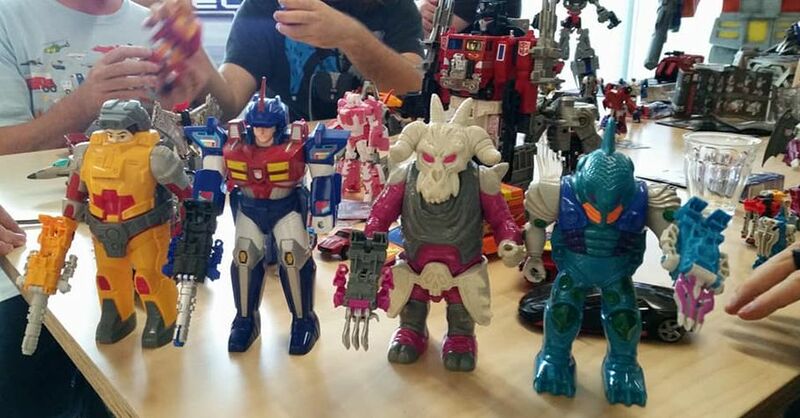 And they had various statue samples on display as well, which they get sent to show to retailers... it isn't a guarantee that they will be here though. 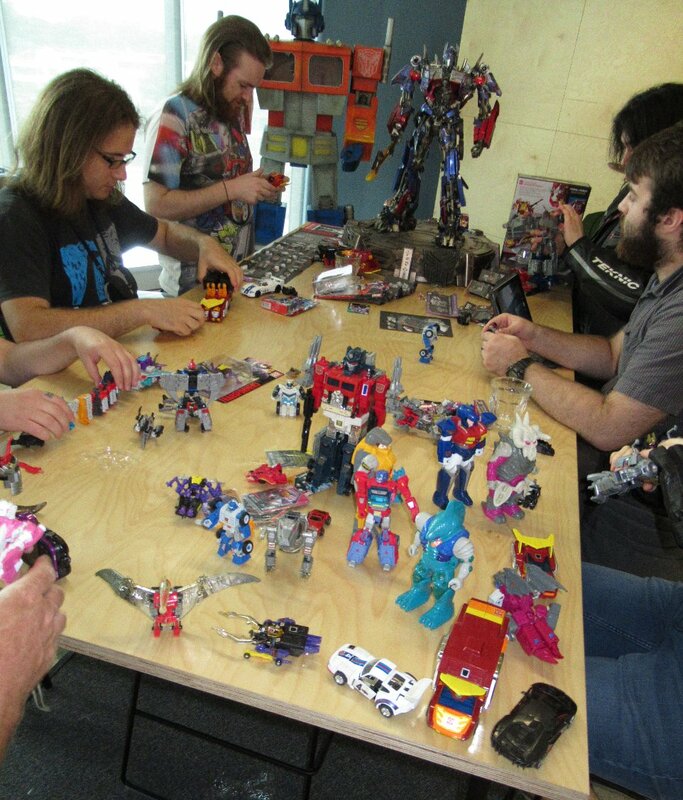 The fans are itching to play with the toys... as soon as they get the word. 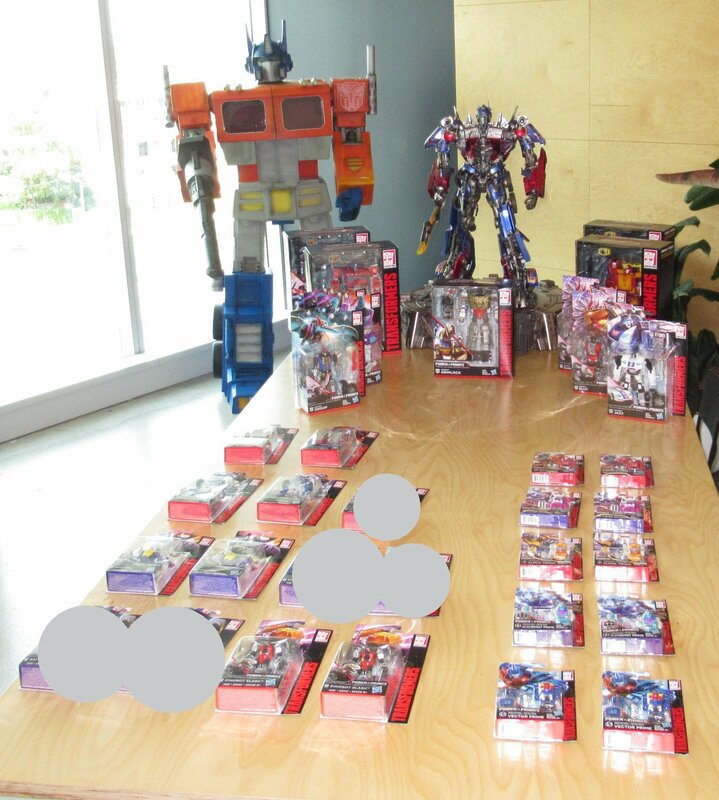 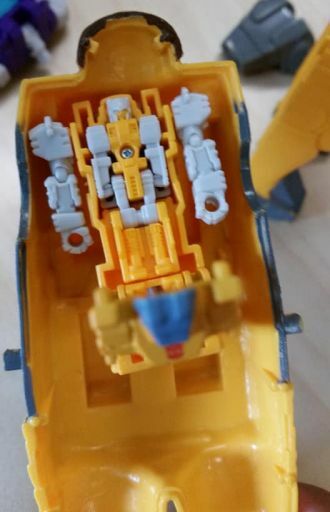 For the first 20 odd minutes, the toys were left in their packaging for the fans to take photos, before they were ripped/cut open for more "product testing". 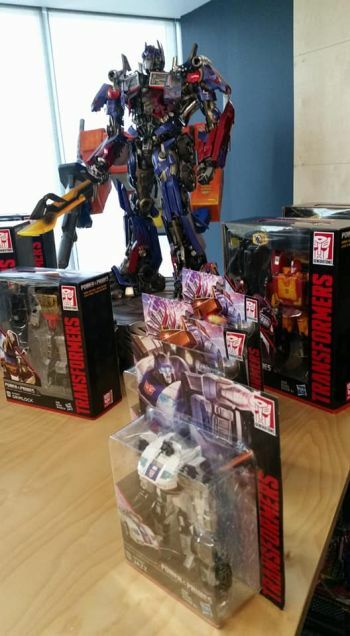 I was too busy supervising and talking to the Hasbro people to get any more photos of the toys in packaging... or get a chance to play with anything. 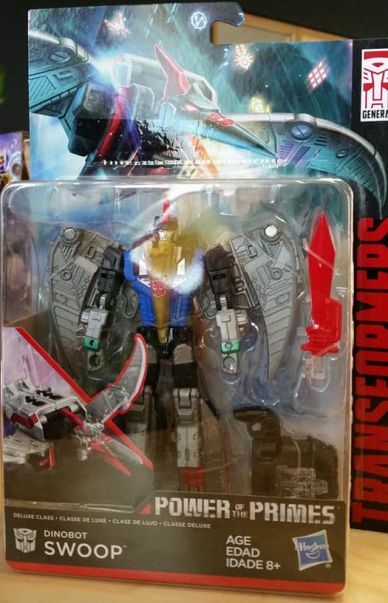 I just have to wait until January like everyone else. 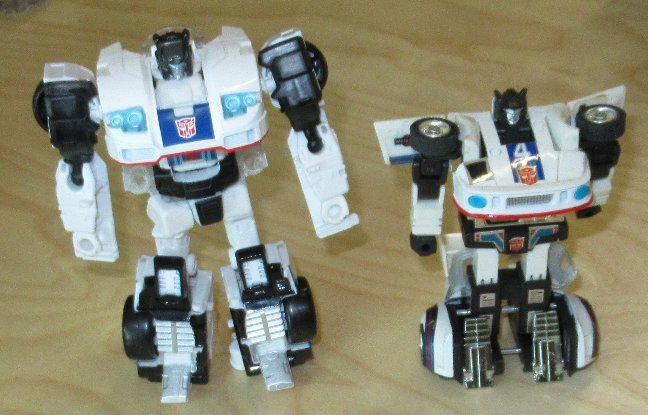 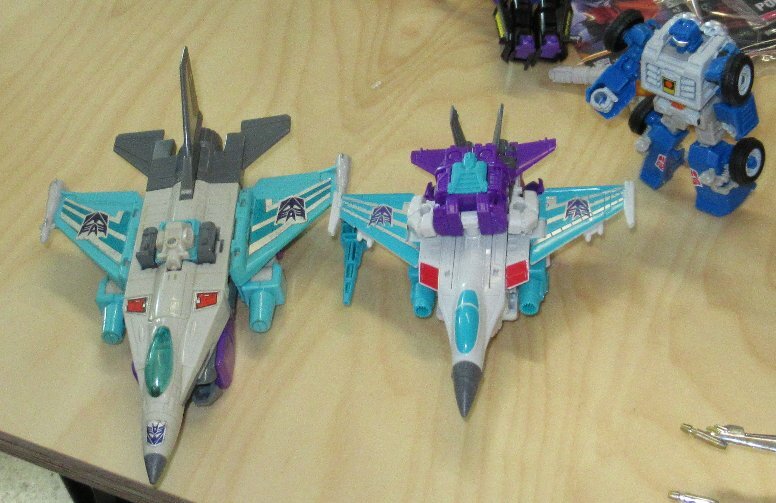 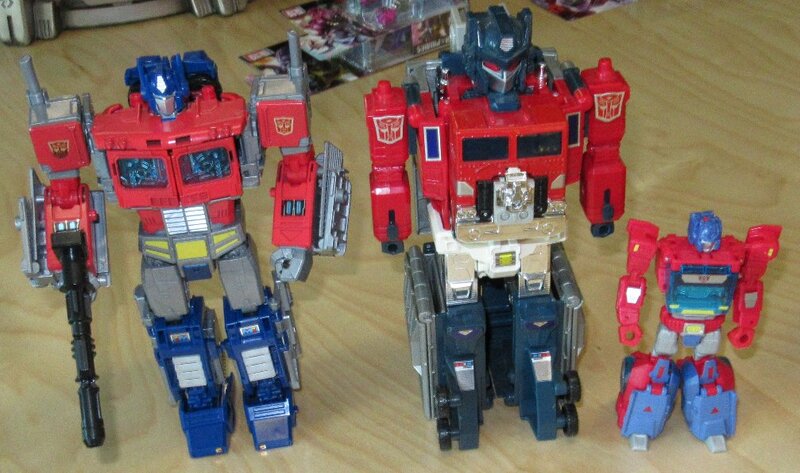 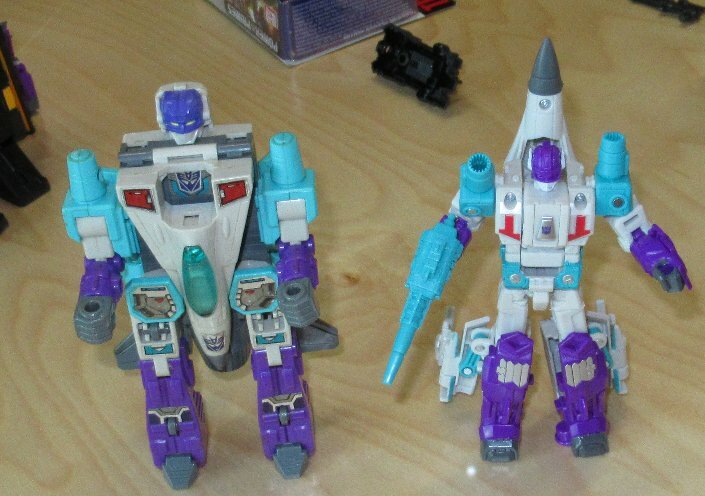 I brought along some Original series (1980s) toys for comparison photos, which will be in the next posting. 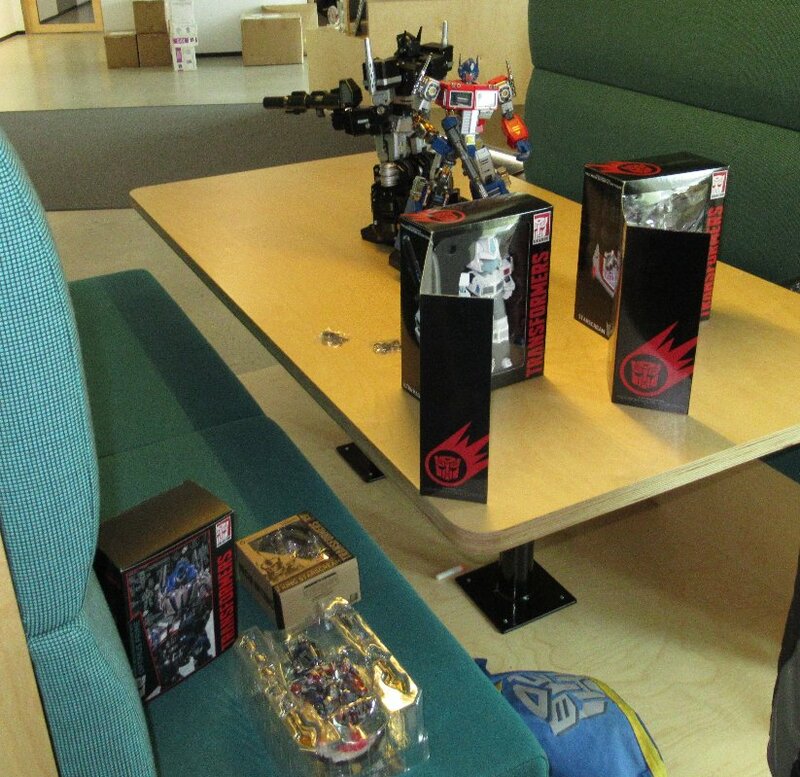 A couple of Transformers doormats they had in the room... very nice. 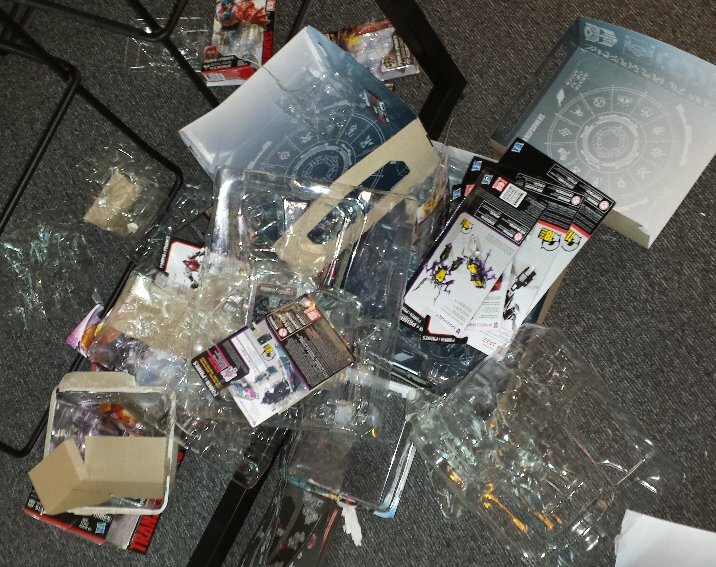 And at the end of the meet... the rubbish pile, from us tearing open all those boxes and card backs. 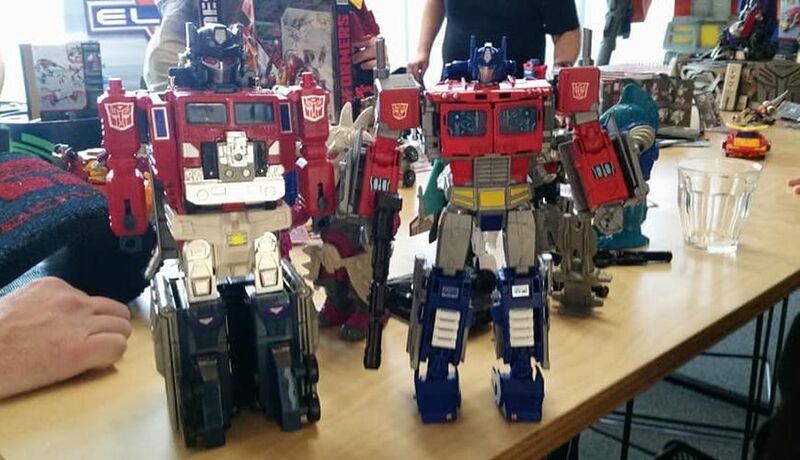 Looked like a great couple of hours! 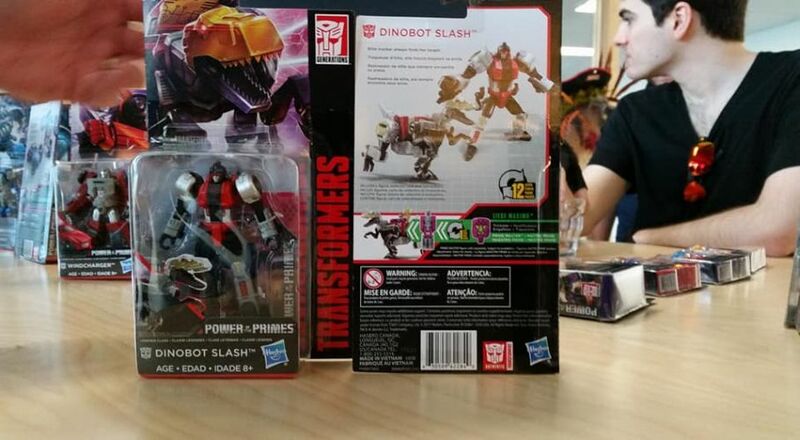 From these pics and others on FB, this looks to be a good line. 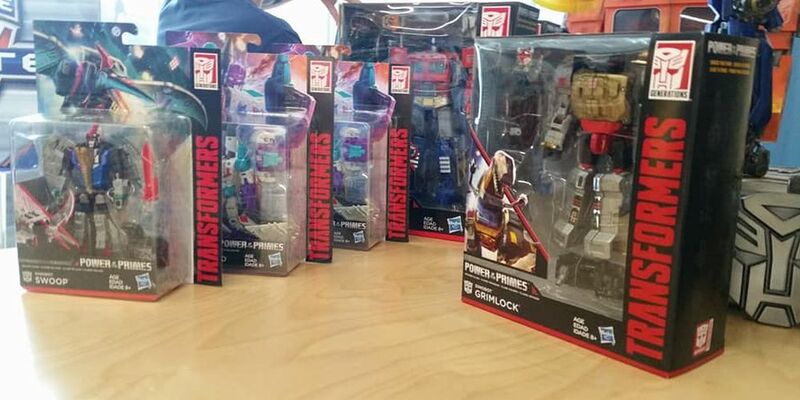 Was going to hold back on this but looks like I'll be on the look out for some of these on release. 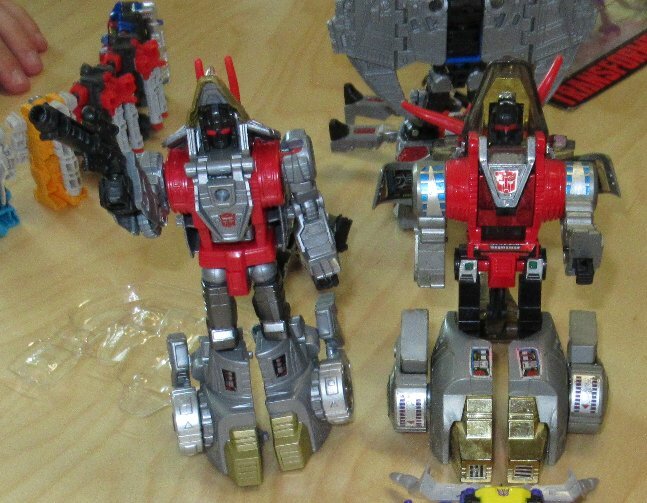 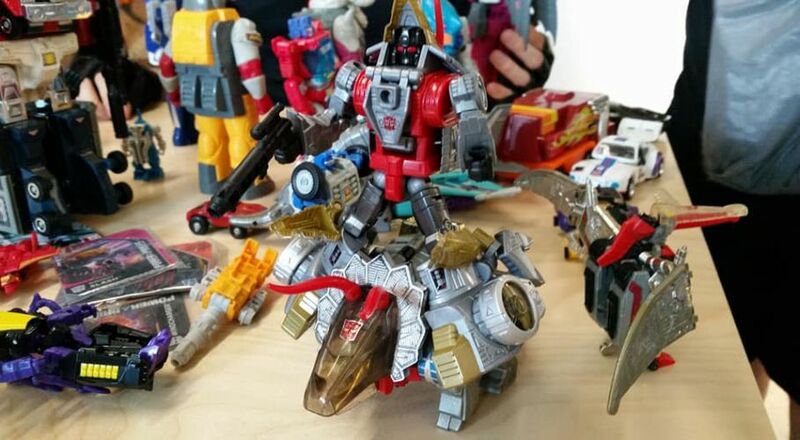 Interesting that they had some of the large bots like Ultimetal and MAS Nemesis on hand there. 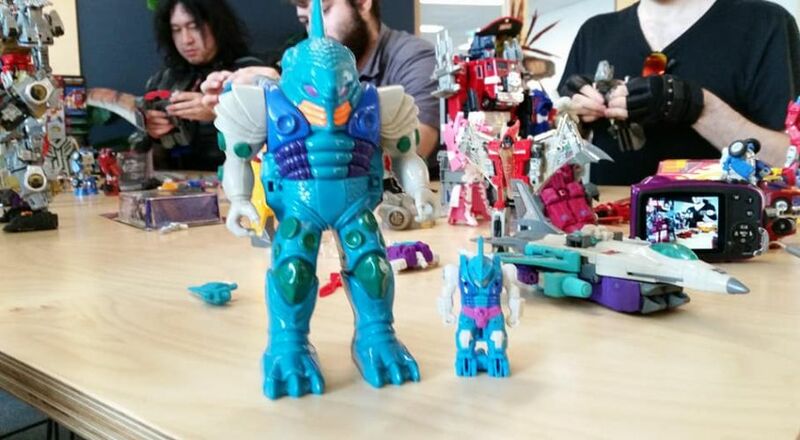 Wondering if Ultimetal will have a re-issue. 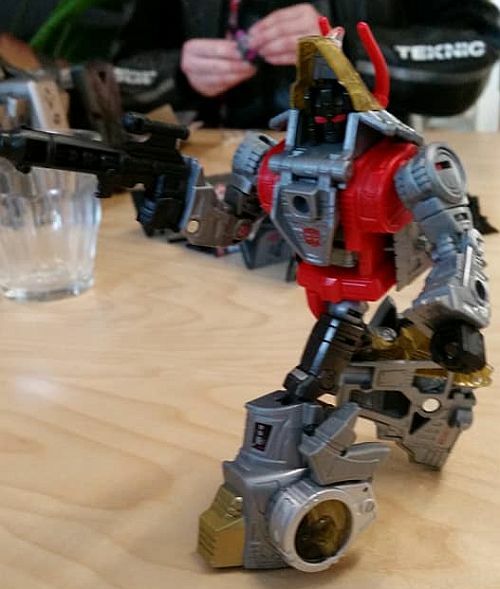 Also well done on capturing a pic of BTT in the wild. 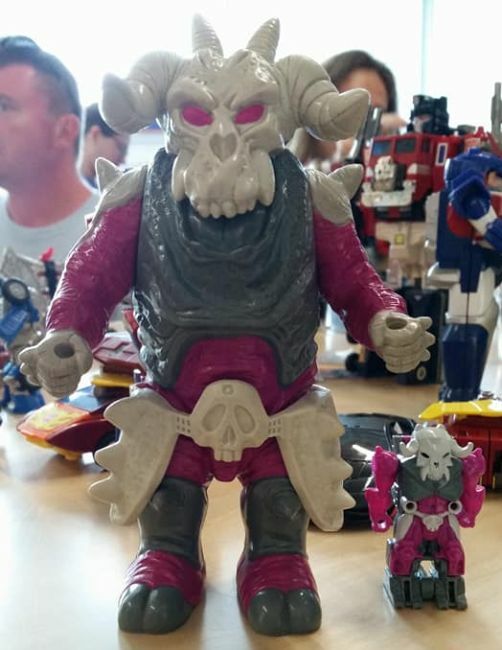 First pic I've seen of the big man at that event. 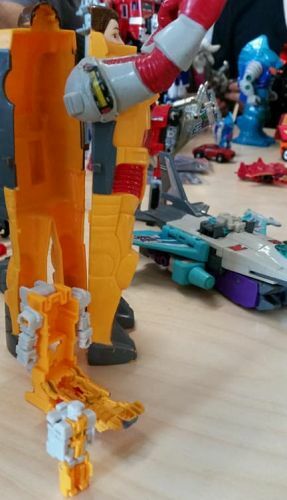 Must be some bonus points awarded for that! 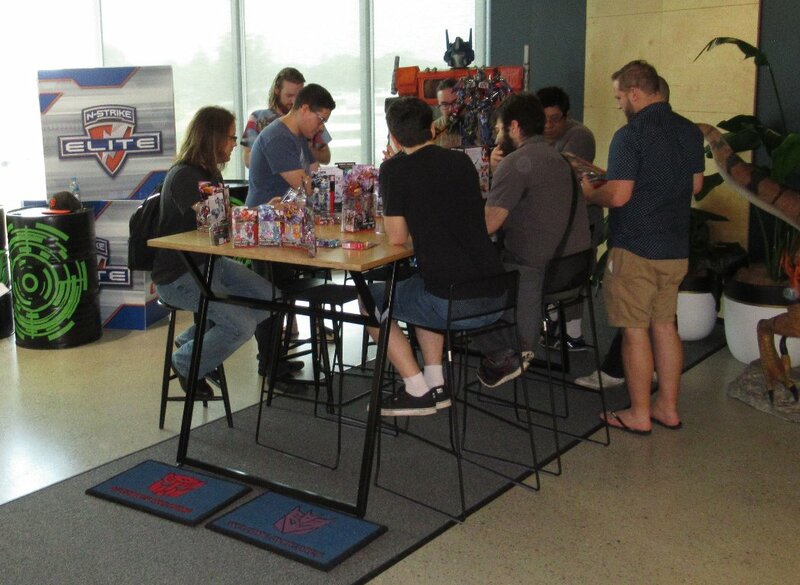 Kudos, Griffin, for taking the time and effort to build relationships with Hasbro so fans get to enjoy events like this. 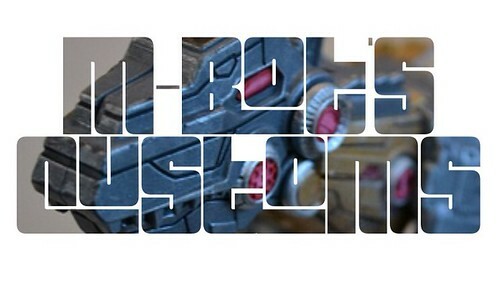 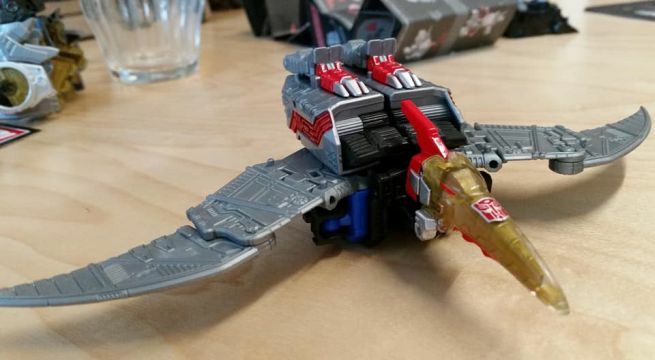 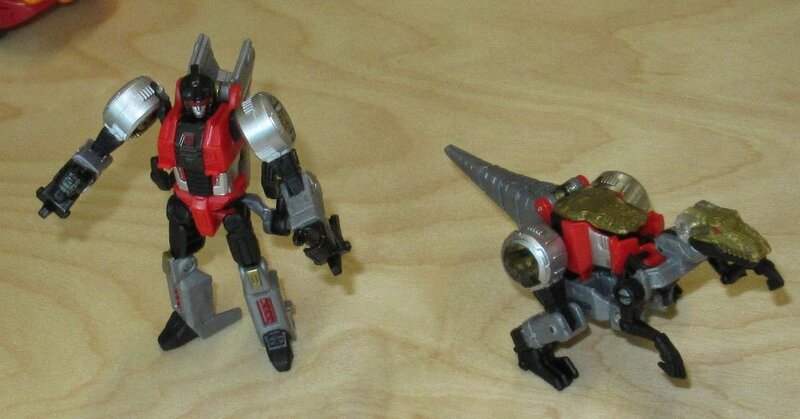 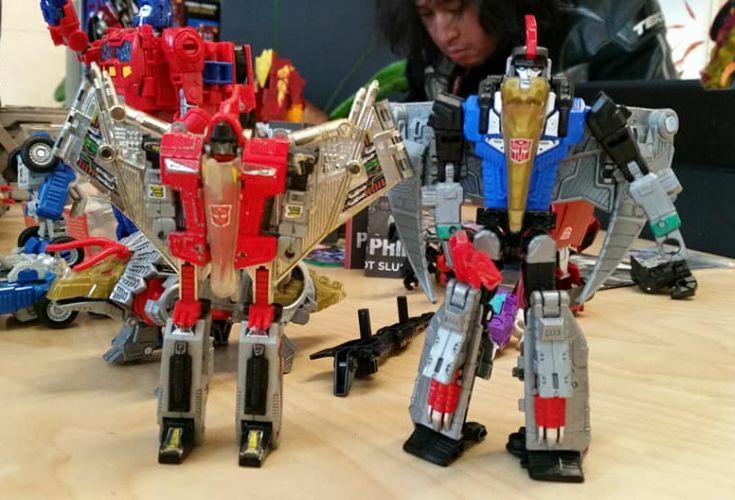 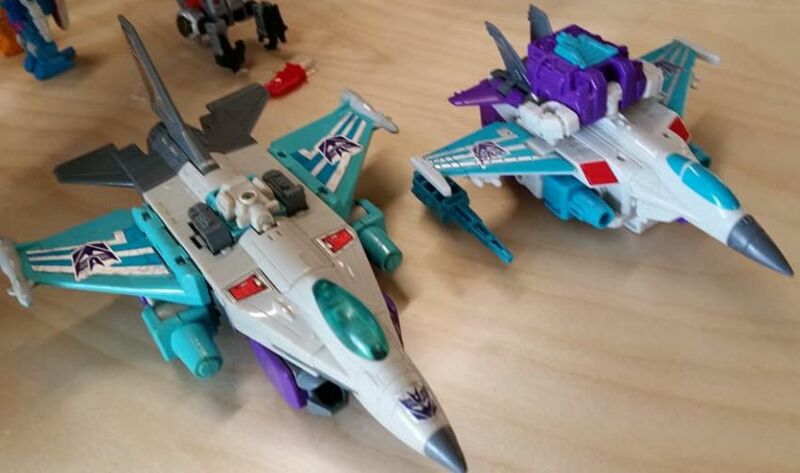 How do you rate the new leader Rodimus and dinobots? 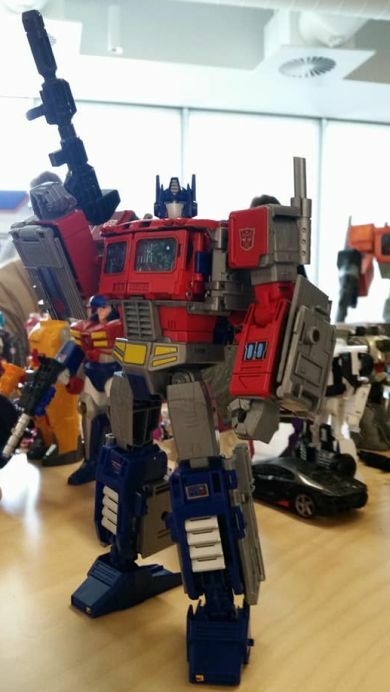 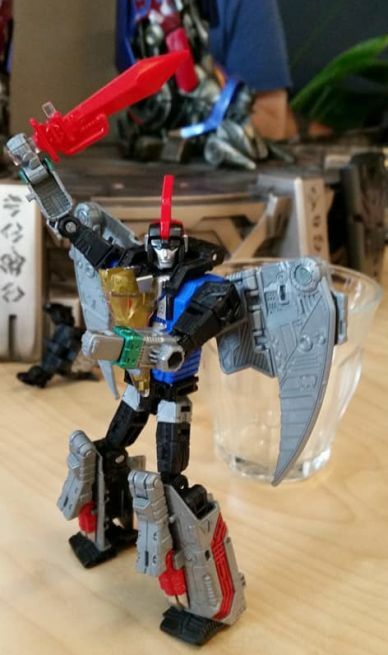 Really liking Leader Optimus, looks well preportioned (is that even a word?). 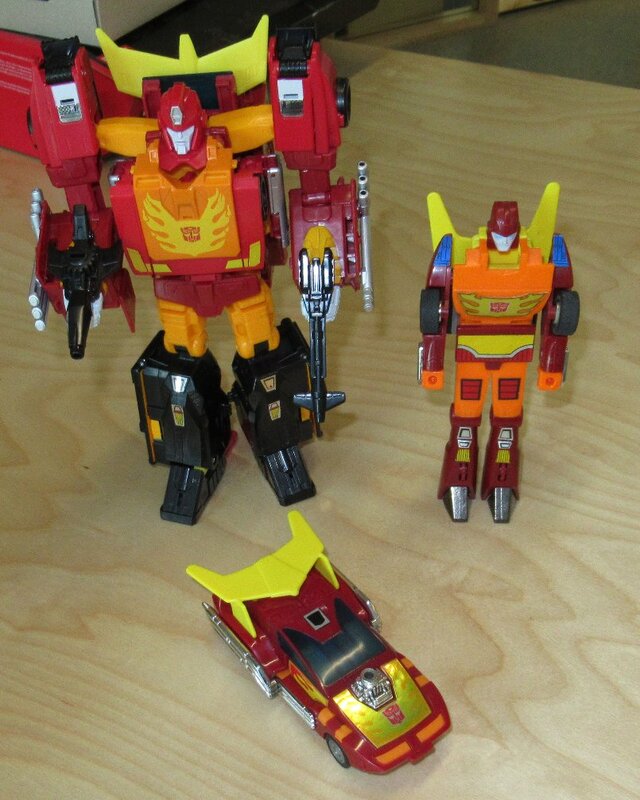 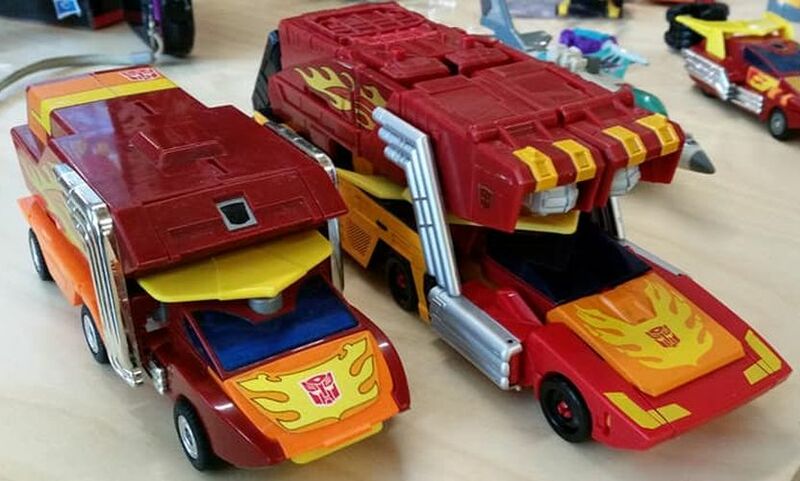 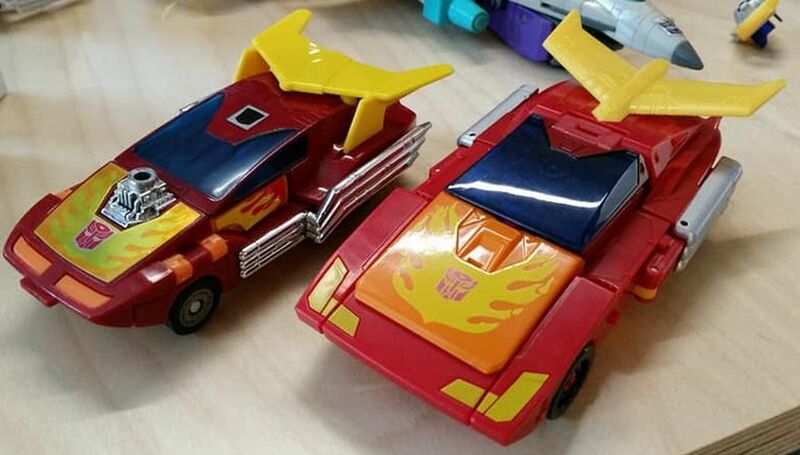 Leader Rodimus on the other hand I ain't sure of. 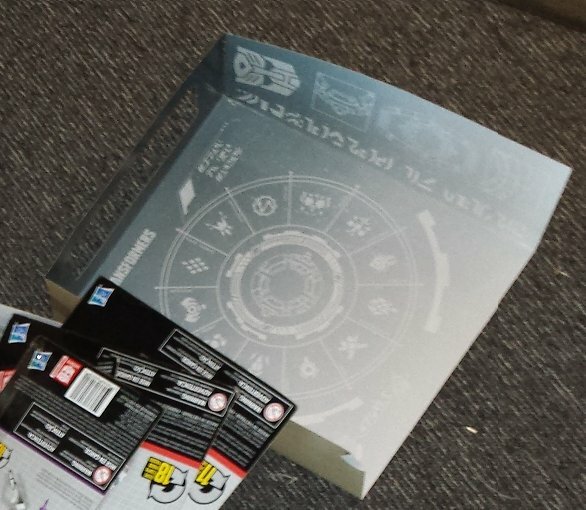 Were there any free samples that you were allowed to take home? 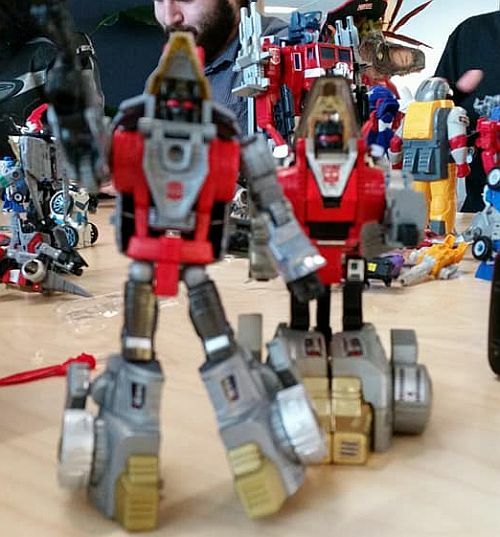 Thx for sharing the pics! 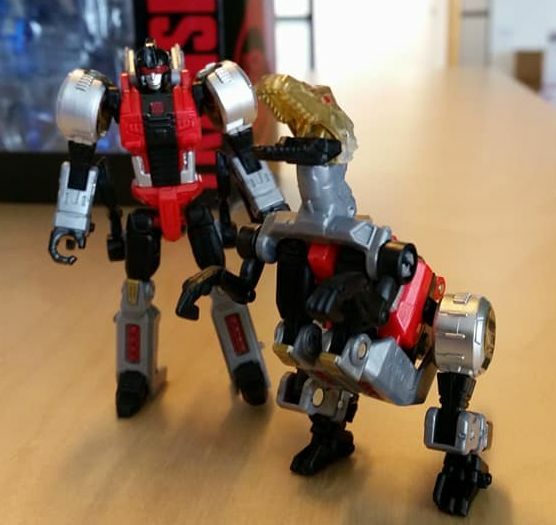 Nice photos... many of which I was hoping to take myself, so it makes me feel better about not being able to. 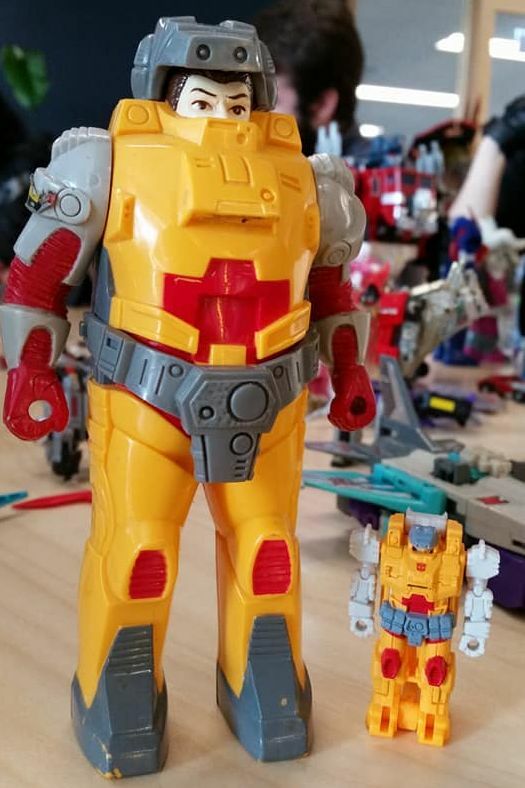 Goki, what's your opinion on Optimus and his "rocket pack"?